The capsule endoscopy procedure is an improved version of a traditional endoscopy. The endoscopy procedure is primarily used to allow visual images of the small intestine and other parts of the gastrointestinal tract. A capsule endoscopy utilizes a miniature capsule that is digested like food. This then travels the digestive tract and records images. These images are then used by medical professionals to diagnose different ailments. It is of note that a capsule endoscopy takes longer than a traditional endoscopy due to the digestive process; this means that obtaining the results of the endoscopy is delayed. The capsule used in the endoscopy is about the size of a small vitamin pill which allows for easy digestion. It may be tiny to allow for digestion but the device is not lacking in the technological department. This tiny capsule contains invaluable amounts of information as the interior contains an imaging system and a tiny camera to document the gastrointestinal tract of the patient. The capsule and subsequently the capsule endoscopy procedure has only recently become available with the improvements of technology. This tiny capsule is significant as it has improved the practice of medicine through technological advancement. A capsule endoscopy has numerous benefits as a procedure and also when compared to the practice of a traditional endoscopy. It is significantly less invasive than a traditional endoscopy and provides the patient with the same information with less discomfort. A capsule endoscopy can be a life saving procedure. The procedure and device are primarily used to diagnose a disease of the gastrointestinal tract but the capsule more specifically can detect Crohn’s disease, gastric ulcers and colon cancer. A capsule endoscopy also ensures the relative comfort of the patient and the imaging device effectively gathers information. A capsule endoscopy is a highly effective and valued procedure; the procedure is not however without limitations. In India access to capsule endoscopies are limited for a variety of reasons and patients who would benefit from the procedure are often unable to undergo it. India was the first Asian county to use the capsule endoscopy procedure in their hospitals but it must be remembered that because the technology is imported from the West there are limits to its access in foreign nations. 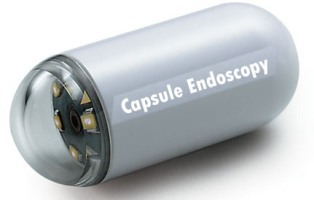 The technology required for a capsule endoscopy cannot be produced domestically in India. India is technically able to produce the device but scientific patents held in other countries limit production ability and also significantly raises the price of the technology. The cost of the procedure is also prohibitive to many citizens of India as the average cost when combined with hospital labour costs is 25 000Rs.